The team behind Paratha Parivar in Anna Nagar is not new to the food business a�� but they agree that ita��s a completely different ball game when compared to the UK where they operate Dosa and Dosa, specialising in the South Indian staple. a�?The main difference is the workforce. Here you cana��t tell who will and who will not turn up to work the next day,a�? jests Varadharaj Perumal, who along with two other friends and partners, all from the IT industry, opened their first restaurant in 2010. With Paratha Parivar, they offer us between 100-150 varieties of the Indian bread from across the country. The only catch a�� they are all vegetarian! a�?We initially wanted to offer non vegetarian parathas. 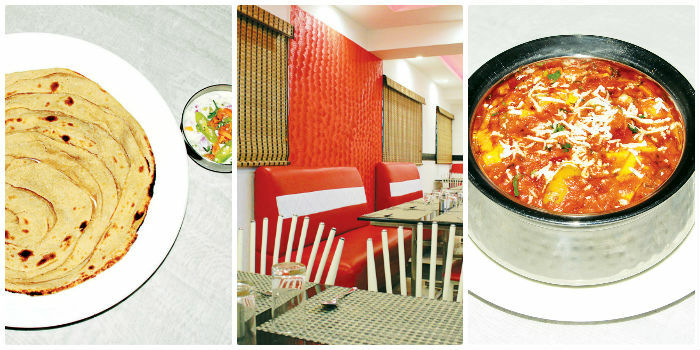 But after some research, we decided that a vegetarian restaurant would be more suited to Anna Nagar,a�? Perumal explains. Not convinced, I hand back their tasting menu and ask Perumal to surprise me. 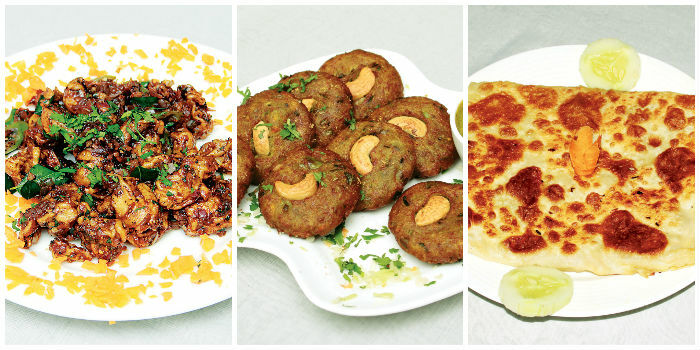 We start with a mushroom pepper fry, paneer tikka and hara bara kebab, of which we find the kebab (patties made of paneer, curd and coriander) addictive, especially with their refreshing mint chutney. Among the parathas that arrive in succession, we like the Dilli galli paratha (stuffed with finely chopped cauliflower) that seems near perfect with a heady aroma of ghee and the paneer kothu paratha that, though minus the customary beaten eggs, still competes well with the original version one would get at any roadside parota shop. The folded veg murthaba though, could have done with a lot less onion. As we end with a warm gajar halwa, Perumal shares that their finalised menu will offer a choice of wheat parathas with some options for Jains, too. But though they even have a good selection of vegetarian gravies to go with the parathas (the sweetish lacchadar paneer in a butter masala-like gravy is our favourite), we still think that non vegetarian options would have made for a much more interesting concept. Luckily, Perumal has plans for that in the pipeline.